We have just fitted these two Weinor Cassita electric awnings to a property near Hindhead in Hampshire. Our client had just had a new patio laid in their back garden and wanted some extra shade over the patio doors and back window. By having two awnings side by side, our client has the option of using both at the same time or one or the other as required. The awnings were supplied in a lovely vibrant colour with anthracite frames for a smart and modern finish. 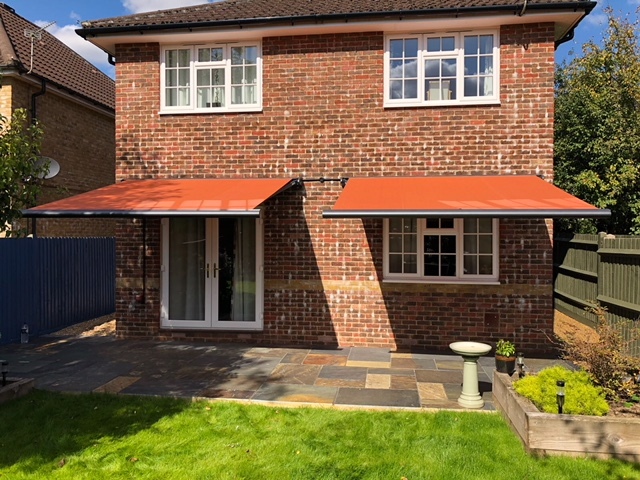 Our client has chosen a lovely bright colour for their pair of garden awnings. Here at Awningsouth we have over 200 awning colours to choose from. Plus, we provide the option to colour match to a RAL number, so you’re bound to find the right shade of fabric for your awning. Take a look at our Awning Colours Ideas blog for some inspiration. This is another fantastic example of the high quality standard of the Weinor Cassita Awning. 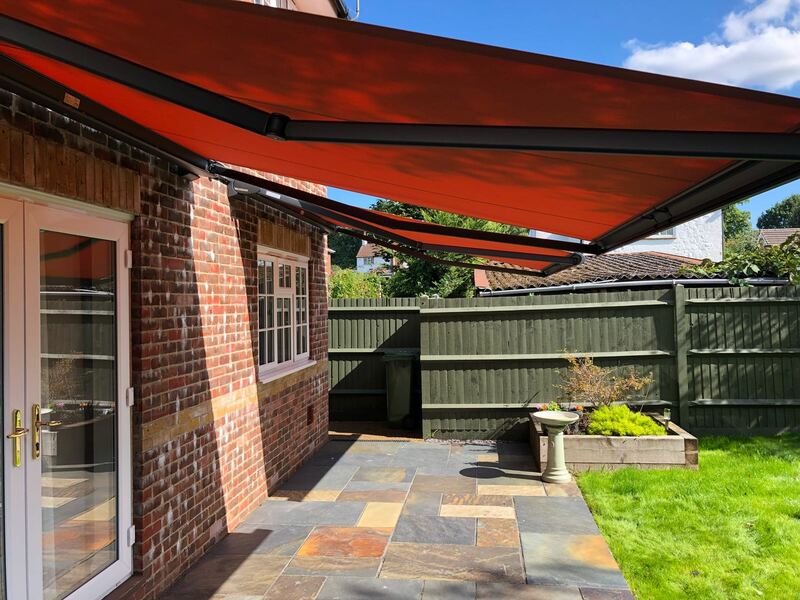 The two awnings provide some stylish shade over the patio which can now be used all year round. To find out more about our Weinor Cassita Electric Awnings, contact our friendly Sales Team. Call 02381 290170 or email sales@awningsouth.co.uk. For an accurate quote, book a FREE Design Consultation and we’ll visit your home to take measurements.